Iowa City, Ia.- The Hawkeyes reaffirmed something that many of us have already known: They have a good defense. 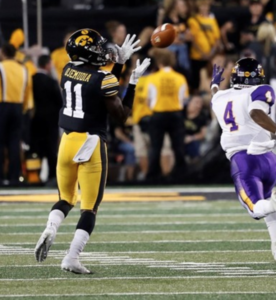 The Hawkeyes (3-0,0-0) defeated the Northern Iowa Panthers (0-2,0-0) in dominant fashion by a score of 38-14. All together, the defense held Northern Iowa to only six yards of rushing. While the usual suspects showed up, there were some other players that got on the stat sheet as well. 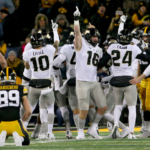 “Our defense just in general, especially the front seven, linebackers and then the guys up front, I think we’re developing some depth,” Head Coach Kirk Ferentz said. 18 Hawkeyes recorded tackles during the contest. Linebacker Kristian Welch led the way with eight tackles and a fumble recovery. Michael Ojemudia chipped in five tackles of his own and his first career interception late in the first half. Cedric Lattimore, A.J. Epenesa and Brady Reiff all recorded a sack against the Panthers. Epenesa now leads the Hawkeyes in the sack department with four sacks on the year. On the other side of the ball, Nate Stanley threw for a season-high 309 yards and two touchdowns. On the receiving end of one of those touchdowns was tight end Noah Fant. 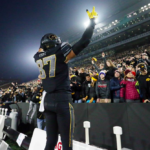 That touchdown was the fourteenth touchdown reception of Fant’s career and moves him into the top spot for receiving touchdowns by a Hawkeye tight end in program history. Fant’s 14 touchdown receptions ties him for ninth all-time. 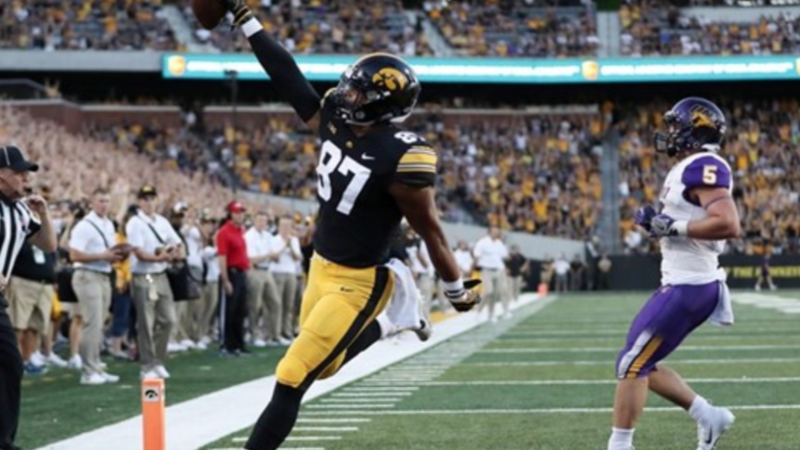 The tight end has been a staple at Iowa for years and Fant believes others should take note. The Hawkeyes will begin conference play Saturday night against the Wisconsin Badgers (2-1,0-0). Kickoff will be shortly after 7:30 p.m. and can be heard live at http://mixlr.com/kruifm/.